Collette should be one of the happiest women around. As the wife of a wealthy plantation owner, she has everything she could possibly want and lives in the home of her dreams. Her husband, however, makes living her best life impossible. As he has taken up with Amana, one of their slaves, Collette’s life has taken quite a tragic and sad turn. When Amana finds herself in just the right place at the ideal moment to save Collette’s life, both women begin to realize there is much more to their relationship than either of them could have ever imagined. 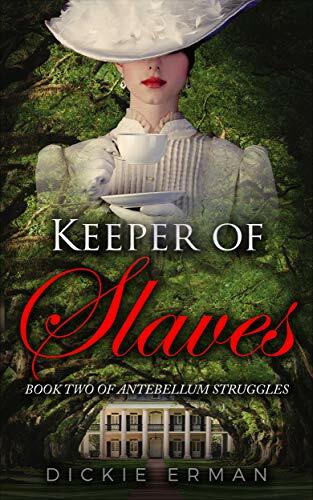 Keeper of Slaves, Antebellum Struggles Book 2, by Dickie Erman, traces the drama surrounding Trent and Collette Winters and the battle to survive via the Underground Railroad. Erman skillfully crafts a cast of characters who are deeply involved in making the Underground Railroad successful. The author appeals successfully to readers’ emotions and describes incredibly intense scenes of fearful and anxious moments of planning as the book’s main characters attempt to do what feels like the impossible given the time period and the extreme circumstances of their lives. Even though Erman includes a brief summary of events from Book 1 at the outset, I feel there are several key elements I was missing as I read. Quite a bit of time was spent trying to visualize situations and subplots. There is a history between this entire cast of characters that is begging to be read. I am beyond intrigued by the “ghost ship.” I found it to be a fantastic addition to the plot and was able to visualize each and every aspect of the ship and its lack of life, the missing supplies, and the eerie and overwhelming silence. Though it sounds a bit out of place in a story of this genre, it actually works quite well. I would be remiss if I didn’t mention the concern I have over the dialect. While the bulk of the dialogue feels quite authentic, there are a few things I found distracting as I read. Accents and turns of phrase felt accurate throughout the book for the most part, but a few terms like “machismo” and “space aliens” struck me as odd and felt out of place for the book’s antebellum setting. Periodically, the reader is given the impression that the third person narrator is, indeed, part of the story. While this works in some cases, it doesn’t feel effective here. I was especially confused when, in the narration, the alligator that attacks Collette is referred to as a “gata.” The sudden switching on and off of the more personal narration is a bit difficult to reconcile with the rest of the book. 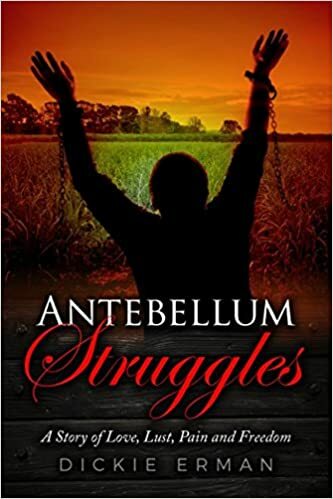 I am giving Keeper of Slaves, Antebellum Struggles Book 2, by Dickie Erman, 4 out of 5 stars. Fans of historical fiction who desire a bit of romance in their plots will enjoy Erman’s work. I highly recommend Keeper of the Slaves, Antebellum Struggles Book 2 to those who are particularly attracted to Civil War stories with generous amounts of character interaction and authentic dialogue.